South Division leaders Cardiff proved too strong over the 90 minutes in the Severnside derby for teenagers, but Bristol City started strongly and goalkeeper George Ratcliffe had to make a couple of smart saves in the first five minutes. The young Robins left pressing and Jamie Edwards-Taylor volleyed against a post after nine minutes. 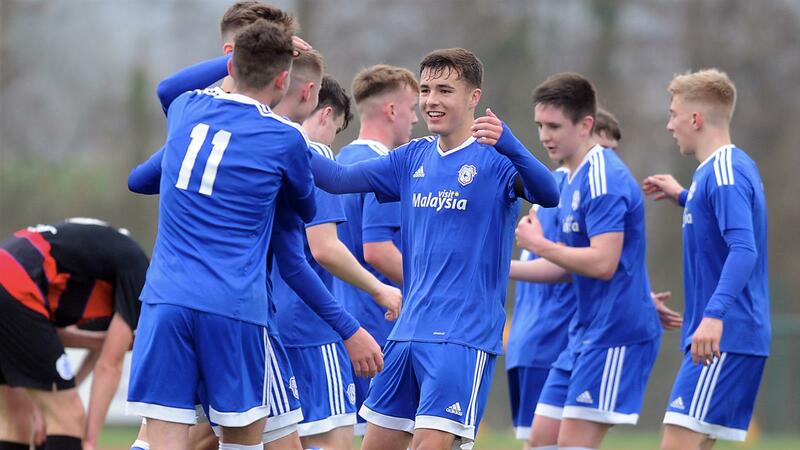 Spence, aged 18, settled things down by scoring Cardiff’s first goal when he fired past goalkeeper Lochie Robertson with an excellent finish into the bottom left-hand corner. That came after 15 minutes and Spence doubled the lead soon after the restart. Mayembe’s cross was deflected by the Robins’ Jack Spark past Robertson to make it 3-0 (49 mins) before Spence added his hat-trick goal three minutes later.